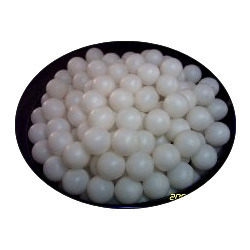 We are a leading Manufacturer of flange guard, casing insulator, casing end seal and scrubber balls from Chennai, India. 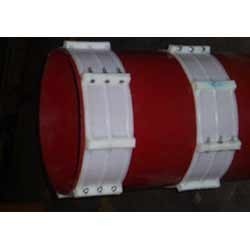 We are passionately engaged in offering an exclusive range of Flange Guard. Used with flanges & provides absolute secured locking mechanism, the given range of flange guards is tested on numerous provision of quality. These flange guards can be customized as per variant needs of our customers. Provided flange guards are appreciated for their perfect finish and can be availed from us at competitive rates. We are instrumental in offering premium quality Casing Insulators to our valuable customers. 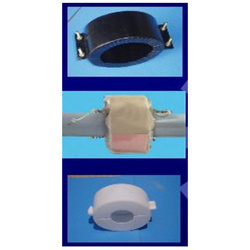 These casting are used in various carrier pipes for the purpose of preventing bi-metallic corrosion. Rigorous quality assurance procedures conducted by our team of quality controllers ensure that the premium quality of the offered casting is never compromised. Backed by state-of-the-art infrastructural unit, we manufacture, export and supply a superior range of Casing End Seal. Our offered products are provided in numerous specifications in order to fulfill the customer’s need. These products can be fitted even on already installed pipelines. Our customers can purchase these products from us within the promised time-frames. 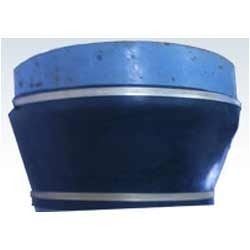 In scrubbers for increasing contact surface area. Looking for Flanges Accessories ?